Sandra Felgueiras : The judge's decision on a request for an injunction of secret character that had been filed by the McCanns arrived this morning. Starting at the moment when Gonçalo Amaral's editor is notified, the sale of any books and videos that are still in stores will be forbidden. The editor has not been informed about this decision yet, but from what can be read, it is impeded from performing any new editions, and Gonçalo Amaral is strictly forbidden from making any comments that correspond with the parts of the book that defend the thesis that Madeleine died. SF : What is certain is that if Gonçalo Amaral and the editor do not obey the order, the court can condemn them to pay a fine of 1000 euro per day. SF : In Rothley, Kate and Gerry McCann rejoiced over the decision, even more so because it paves the way for a satisfactory outcome in the other civil action that they have filed in June against the former inspector, who was removed from the case and later abandoned the Polícia Judiciária. Over alleged moral damages, they demand compensation in the amount of one million and two thousand euro. SF : Gerry and Kate have not heard Gonçalo Amaral yet, but from England they assert that the most serious part is that the former inspector's book damaged the search for Madeleine. (1) Les conclusions du livre sont celles du rapport de septembre 2007, mais selon le rapport de classement du procureur, dix mois plus tard, le crime n'a pas pu être déterminé. (2) Ils ont préféré s'abstenir, la seule position politiquement correcte. (3) Ils ont utilisé l'argent de Madeleine's Fund pour payer deux mois de mortgage, cela s'est su, ils ont dit qu'ils ne recommenceraient pas. 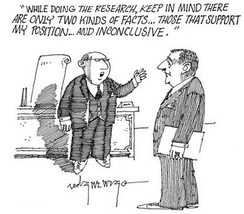 Clarence Mitchel : (GMC's spin doctor) Errr... Ladies and gentlemen, thanks very much for coming at short notice. Errm.... Gerry would like to read a short statement; he will take a few questions after that; errr... he doesn't wish to do any other one-to-ones. So, thank you for coming. Gerry. We're pleased with the judges decision today preventing further distribution and sale of Mr Amaral's book and DVD, 'The Truth of the Lie'. Sean and Amelie need protection too, from such awful claims. Hopefully this injunction today will go a long way towards reducing further uneccessary and unjust distress to us all and allow people to concentrate completely on what is important; finding Madeleine. Thank you. CM : If you could just say which news organisation you're from. David, from Sky News ! David Crabtree: How much do you think this has damaged your campaign and is there anything you can tell us which suggests it has actually been damaged? GMC : I believe so; Dave Edgar believes so; and if people believe that Madeleine's dead then why would they come forward with information? (5) DC : It's taken a long time to get this book banned. Errm... Has it been a long struggle? A difficult struggle? GMC : Errm... It's probably worth just expanding on that a little bit. We didn't want to take action; as usual. It was a last resort. It took us a long time to get the files translated so we knew exactly what was in them and by the time we'd... we had done that completely we were in to January and we... we did take advice and, to be honest, we were advised to, errr... issue proceedings at that point. But we didn't want to enter into an adversarial process. We want to work with the Portuguese and we will continue to work with the Portuguese authorities to try and find Madeleine. (6) But when we launched, errm... the documentary with the fresh appeals and we had, errr... repeated statements from Mr Amaral; and his own documentary; and the DVD; and the book, then, you know, we had to take action because, at that point, we felt that it was completely damaging the search. We had hoped that everyone would have had the opportunity to see what was in the file and to see the Portuguese judiciary's verdict of what is in the file and they are very clear; there is no evidence that Madeleine is dead. (7) DC : Are you, errm... pursuing, errr... damages... compensation? GMC : Yes, absolutely. Errm... this has been incredibly damaging; that action has been, errr... submitted earlier this year, errr... and we will pursue that, errr... people have profitted from the book. (8) CM : Lady at the front. Helen Astle : (East Midlands Today). Errm... How is the investigation into Madeleine's diappearance going? What new information have you had since the second anniversary? Rod Chaytor : (The Mirror). Errm... If I read the injunction, or the translation of the injunction, correctly, errm... books have to be taken into the care of your solicitors after... after being taken from the shelves. Are you pulping them? Sally ??? : (ITN). Todays banning for any future sales, Europewide. Can anything be done for the sales that have already taken place in Portugal? 'Cause it's been on sale for over a year, this book. S? : And what do you plan to do with the damages and compensation outside of the fund to help find Madeleine? GMC : I mean, first of all, we... we have not been awarded damages, as yet. Errr... I guarantee that if we are awarded damages they'll certainly be used, errm... to continue the search for Madeleine and we'll certainly look at other worthy causes, errr... within that. (9) S? : Have you any idea why Mr Amaral wrote this book in the first place? GMC : You'd have to ask Mr Amaral. But the question I'd be asking is: 'Why would someone continue to purport a thesis that a missing child is dead when there is no evidence and I hope that's a question people are asking, and what motivates someone? Thank you. (10) CM : Anymore? RC :Can I just ask. 200,000 people across Europe are said to have bought the book. What would you tell them to do with it? (pause) People who've got the book. Gerry McCann: I think, errm... if they really want to know what the evidence is then there's a lot of information in the public domain rather than a skewed, errr... version of events, errm... the file has been made public, errm... I think the judiciary's summary of what has been done is very clear and, as parents, the search goes on and what I would ask is if anybody has information which may be relevant to come forward, please. GMC : Thank you. Thanks, Clarence. (1) Mais la thèse opposée, celle des MC, en est au même point en fait d'élément probant. (2) Proclamer qu'elle est vivante, rappeler régulièrement qu'il faut la chercher est cause d'inquiétation et de trouble, spécialement au sein de la communauté de PDL. (3) Les MC admettent depuis le début que Madeleine a disparu parce que, trop confiants, ils l'avaient laissée seule. (4) Les MC ont fait savoir à travers maintes campagnes aux Portugais comme à bien d'autres citoyens de la planète que leur fille avait été enlevée, alors qu'il n'y a aucun élément probant à l'appui de cette thèse. Est-ce pardonnable ? (5) On comprend que GMC le croie, puisque c'est l'argument majeur de l'assignation en justice, on comprend que son employé le croie aussi, mais il faut savoir que le PGR a déclaré que toute information nouvelle concernant Madeleine était examinée. Madeleine n'était pas un bébé et il n'était pas possible d'effacer ce qu'elle était devenue au bout de 4 ans et de la faire réapparaître sous une autre identité comme si rien n'était. (6) Les MC ont délibérément accepté le classement de l'affaire, manifestement pour en finir avec le statut de témoin assisté qui leur pesait. Mais, s'ils souhaitaient que l'enquête se poursuive par une phase d'instruction, il leur suffisait de le requérir. Ils ne l'ont pas fait. Auparavant ils s'étaient montrés assez réticients à collaborer (refus de Kate MC de répondre aux 48 questions de la PJ, rejet, par groupe interposé, de la reconstitution demandée par le parquet). (7) Aussi bien rien n'indique qu'elle soit vivante et sa disparition sans laisser de trace étant un fait avéré, il n'est pas interdit de présumer qu'elle n'est plus en vie. Comme l'a écrit le procureur dans son rapport de classement : il est plus probable qu'elle soit morte. 15 mois s'étaient écoulés depuis sa disparition. Tout se passe comme si les parents tenaient avant tout à se dire que leur fille n'est pas morte. Une fois cela posé, tout va bien. (8) Voilà insinuée la motivation de Gonçalo Amaral et al : l'argent. (9) Intéressant, s'ils gagnent, Gerald MC garantit que l'argent (et c'est beaucoup d'argent !) servira à rechercher Madeleine et à de "dignes causes". 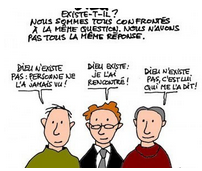 (10) Excellente question. Celle-ci n'est pas moins bonne : pourquoi quelqu'un continuerait-il à répandre la thèse qu'une enfant disparue a été enlevée alors qu'il n'y a aucun élément probant ? The apprehension of my book only gives me more strength to discover the truth about the Maddie case. Gonçalo Amaral is going to request the political parties and the Republic’s President an audience, after his book "Maddie – The Truth of the Lie" was ordered apprehended by a judge at Lisbon's Civil Court. The former inspector thinks that freedom of expression is under threat, at a time when new facts concerning Maddie's disappearance may come to light. José Leite : How do you comment on the apprehension of your book, "Maddie – The Truth about the Lie"? Do you think there's the "hand" of the McCanns in this? Has the book started to be apprehended from the stores? Gonçalo Amaral : My comment is a concerned one, as an author and as a citizen who still holds his full civil rights. I remind you that I left the PJ in June last year, in order to recover my freedom of expression and that, 15 months later, they want to strip me of that freedom. The "hand" is evident: those persons filed the request for the injunction. I have no idea if the book has started to be apprehended, the fact is that it hadn't been sold for months and now it seems to be sold out. JL : How many copies have been sold? GA : I don't know the number of copies that have been sold, it seems that those persons know more than I do, they must hold privileged information. JL : If your appeal wins, do you intend to sue the judge who prohibited the sale of your book, and the McCanns, over the damages? GA :As you know, it is not yet possible, in this democratic, lawful country, to notify judicial decisions through the media, at least when those affect and restrict fundamental rights. I will not pronounce myself about the illustrious judge, because I respect, obey and believe in the judicial system, and mainly because I do not know the fundament and the contents of the decision. As far as the authors of the injunction are concerned, I will exercise my rights, whether in a civil or in a criminal court. JL : When you mention limitations on the freedom of expression in Portugal, are you solely referring to your case, or also to other recent cases, like that of TVI? Or the processes that were filed against "bloggers" who disturbed the socialist power, especially José Sócrates? GA :It's not me that says it, it's the politicians who speak about an asphyxia of democracy in this 21st century Portugal, 35 years after the [revolution of the] 25th of April. There are limitations to the freedom of expression, there are journalists who are prevented from informing, this is a tragic reality. On the other hand, I do not point my finger at any specific party, the limitations come from those in power, who are possibly disturbed by the objectivity and the freedom that assists those who write and who have the duty to inform. As an attentive citizen, my opinion is that the concentration and the monopoly of the media have prompted a crisis and are limiting the freedom of information, of opinion and of expression. The journalists have become employees of corporations, more interested in profit than in informing (maybe not in its entirety, but it is close). JL : Has anyone at the PJ shown his or her solidarity with what has happened to you? GA :My friends stand with me. As far as others are concerned, it needs to be recalled that the PJ, just like other institutions, is going through an electoral period and some fear changes, therefore no major solidarity should be expected from there. JL : When will the English version of the book be launched? JL : Do you think it was a mere coincidence, the fact that the judge who decided over the apprehension of your book was the same who condemned the Portuguese State to pay 131 thousand euro of compensation to Paulo Pedroso? GA : I trust the judicial system and its independence, therefore I'm not commenting on the coincidence, which is probably just that, but we are attentive. JL : Don't you think that there is a personal persecution against you, after you saw your pretension to run for mayor for the Algarve's PSD, dismissed? JL : What hidden interests – masonry, national and international political lobbies – are moving in order to set you up? JL : Should Maddie's parents worry about the fact that Gonçalo Amaral mentioned that he is going to continue, in private, to investigate the case of the disappearance of little Maddie? What passage of your book may have disturbed them most? JL : One of the new facts that have already been revealed by our newspaper – and that was also mentioned during the McCanns' interview with Oprah Winfrey – concerns a blanket that disappeared from the Ocean Club and that, allegedly, was used as a shroud during a funeral. Could that be one of the worries for those who persist in preventing the discovery of the entire truth about what happened to little Maddie? JL : Is there any other fact in the process that should be investigated further? JL : Do you continue to defend that the key to the mystery lies in Aldeia da Luz? GA :We have no doubts whatsoever. That is where the little girl disappeared from and where she was seen for the last time. A reconstruction is still necessary. JL : Does this episode of the veto on the book give you strength to proceed with your investigation, or to publish more books about this case? (1) Un rêve... Car aucune maison d'édition britannique n'est prête à risquer des ennuis. (2) On s'attend aussi à ce que soit confirmé un tel soupçon avant de le propager. (3) C'est quand même une accusation. (4) Les livres écrits par des journalistes sont bourrés d'erreurs (écrits avant la divulgation des PJFiles). Les MC n'apprécient évidemment pas qu'un policier écrive que leur fille est morte dans l'appartement, car on voit mal comment ils n'en auraient pas eu connaissance. Quant au savoir et à l'expérience de Gonçalo Amaral, il croit qu'on l'a écarté de l'affaire par peur qu'il ne parvienne à confirmer les conclusions préliminaires, mais il s'est trompé pour ce qui est de l'ADN et sa théorie sur le corps transporté dans une voiture louée trois semaines après la disparition est invraisemblable, sinon aberrante. (5) Pas d'inquiétude, Oprah Winfrey a parlé d'une (et non de sa) couverture. Quant à la petite couverture de réconfort elle a été donnée à sentir aux chiens de patrouille arrivés de Portimao au milieu de la nuit. Les maîtres-chiens l'ont probablement emportée pour la faire sentir régulièrement à un des chiens, qui semblait avoir trouvé une piste. (6) Il n'existe aucune photographie de Madeleine avec cette peluche. (7) Il y a au moins un point commun entre Kate MC et Gonçalo Amaral : Dieu. Hormis cela, tous deux croient que l'autre n'agit que pour le détruire. C'est vraiment voir le monde par le petit bout de la lorgnette. Tout le monde conviendra que les MC ont leur image à défendre contre les attaques de GA et tout le monde comprendra que GA a en fait des comptes à régler avec sa hiérarchie.